Take your coffee to the next level by cold brewing. 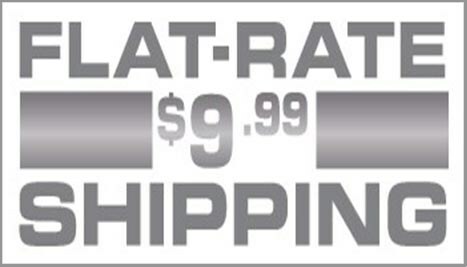 Discover the rich, smooth flavor that you can't get from a typical hot cup of coffee. What Will You Learn in The Ultimate Guide to Cold Brew? 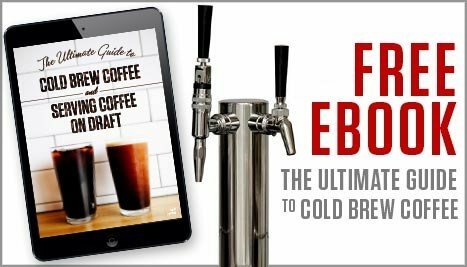 The Ultimate Guide to Cold Brew Coffee and Serving Coffee on Draft aims to give you a complete overview on cold brew coffee from describing what it is and how to make it, to discussing different ways that cold brew coffee can be served. Below you'll found a rough outline on what you can expect to find in this ebook, and as always, if you think we're missing something or if you'd like to see us add something, just reach out! We love collaboration and would be happy to update the book if you feel that something is missing. 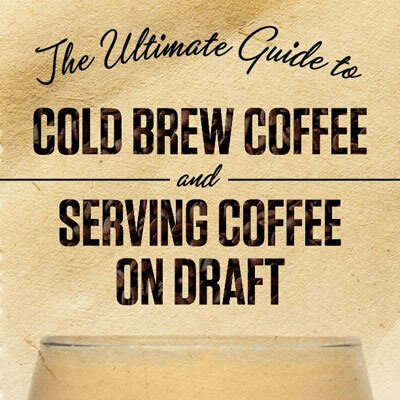 In this short intro, we give you a quick background on why we wrote the book and our current take on the cold brew and nitro coffee landscape. In this quick introduction to cold brew coffee, we break down and review how cold brew is made as opposed to how traditional hot coffee is made and what the differences in techniques of brewing can yield in terms of flavors and tastes. Here, we dive a little bit deeper into the world of cold brew. We discuss different equipment that can be used from small home brewers to coffee shops and roasters all the way up to large commercial operations. We discuss brew temperature and how that can factor into steeping time as well as flavor extraction. 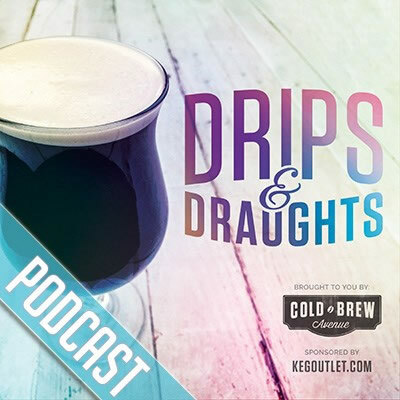 We discuss brew strength and why you might want to brew a concentrate verse a ready to drink (RTD) cold brew. And finally, we talk about batch size options and cold brew storage. In this section, we dive a bit deeper into equipment options and the differences in equipment from small batch to large batch brewing. Here we talk about the serving options for cold brew, whether that be diluting and serving a concentrate or just pouring a RTD over ice. We also discuss the possibility of serving cold brew hot. 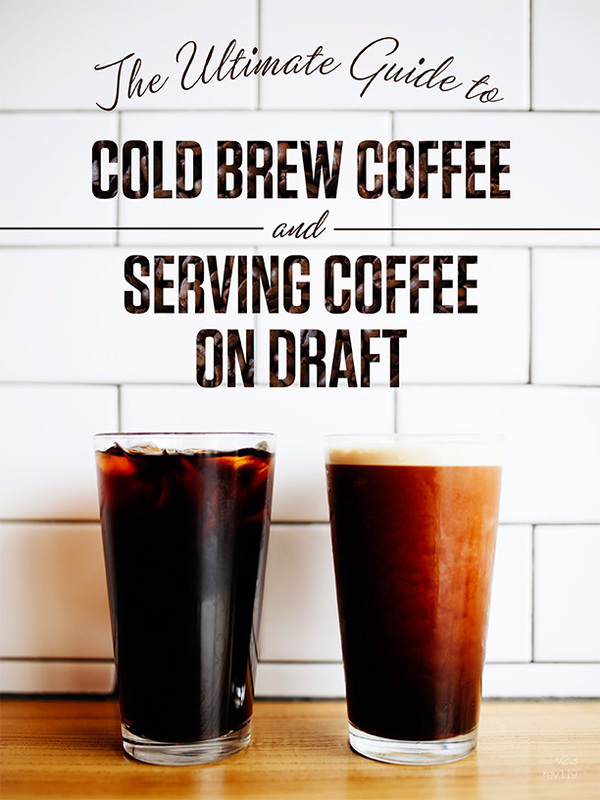 Finally, we talk about serving cold brew on draft and we discuss everyone's favorite topic: Nitro Coffee. We dive into types of gas used for draft systems, we talk about the types of taps/faucets that can be used to serve coffee and how they differ. We talk about Nitro Coffee, how it's made and the different options of making Nitro Coffee (new for 2019). We dive into serving on draft, hot taps and we showcase some tap handle customization options. Finally, we look at filling a keg with coffee which leads into our second ebook: The Definitive Guide to Draft Coffee.